Thursday, November 4 & Tuesday, November 9 - introduction to three "New York Poets"
John Ashbery, "The Instruction Manual"
paper option #12 Ashbery's "The Instruction Manual" implicitly is critical of what might be called "the ideology of first-hand experience." In this paper, describe that position and then state your position on what you think is Ashbery's position. To what extent are you persuaded by Ashbery's (mostly counter-intuitive) attitude toward experience? 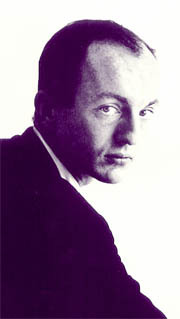 Frank O'Hara, "Why I am Not a Painter"
John Yau, "830 Fireplace Road"
O'Hara, "At the Old Place"
Ted Berrigan's poem "3 Pages"
PoemTalk show on "3 Pages"
Lytle Shaw, "The Confessions 2"
Wallace Stevens, "The Snow Man"
Lytle Shaw explains the connection between "The Confessions 2" and "The Snow Man"
Lytle Shaw, "At the Old Place"
William Carlos Williams, "Portrait of a Lady"
Williams, "The pure products of America / go crazy" or "To Elsie"
Symposium on "To Elsie," 1999, with Bob Perelman, Kristen Gallagher, Shawn Walker, and Al Filreis - including discussions of the driverless car, WCW's mixed ethnic background, and modernism and domestic help. Steven Robinson's paraphrase of "Some Trees"
John Ashbery, "The One Thing That Can Save America"
John Ashbery, interviewed by Al Filreis, on his anthologized poems and "The One Thing That Can Save America"
John Ashbery, "Crossroads in the Past"
PoemTalk show on "Crossroads in the Past"
John Ashbery reads "Crossroads in the Past"
paper option #13 Write a paper that accomplishes just this: an explanation (or "translation" into your own plainest words) of Ashbery's "The Grapevine." John Ashbery, "If you Said You Would Come With Me"
John Ashbery, "Novelty Love Trot"
Gary Soto, "How Things Work"